Summer in Minnesota is a short-lived luxury in our cool and ever-changing climate, but when it’s nice we want to be outside enjoying it. Outdoor living spaces have evolved into much more than a simple deck or patio space with a grill and table. Even in this unpredictable climate, homeowners are creating spaces to include outdoor TVs, kitchens, fireplaces and more. So how do you begin to plan and build your dream outdoor space? The most elementary and foundational element of most outdoor living space projects is the construction of either a deck or a patio. When considering your options in decking you’ll first need to choose between a wood or composite deck. There are benefits to both depending on your budget and your ability to do ongoing maintenance. Wood decks have long been a standard in this industry. If maintained, a wood deck can last many years in both its function and its beauty. A traditional wood deck is a less expensive option initially, but when considering that you’ll need to stain a wood deck every other year it likely is not the least expensive option over the long haul. Composite decking made its way into the market a bit more than 10 years ago. The biggest benefit of a composite deck is low maintenance. However, early composite decking products had durability issues. First generation composite decking was prone to sun fading, mold/mildew build-up, cracking, and scratches. We recommend Trex decking for our deck projects. Trex is a leader in the marketplace and has made exceptional progress in the development of second generation composite decking. Virtually fade, crack, and scratch-free Trex carries multiple colors and grain styles to accommodate design preferences. What are the prevailing winds in your chosen area? How close is your planned cooking area to the main house for ease of preparation? Are you close to an outdoor water source where you may have insect concerns? Next you will want to think about traffic flow and who will be using the space. For example, if you plan to retire or are retired, how accessible will your new outdoor space be in ten years? Have you considered having a space for children to play that is in close proximity to where the adults will be relaxing? How will the overall flow of traffic need to be arranged to be the most functional? Having sections for specific purposes will help you start to plan. Just like you would plan an indoor space, your outdoor living area should match the style of your home. An ultra-modern outdoor fireplace will look odd with your traditional home. Try to pull through your homes architecture as well as your decorating style to your outdoor space to make the flow from indoor to outdoor simple. Create a focal point for your space. Having a view is half the reason you want to be outside. A water feature or a garden make beautiful items to enhance your space. Plan for a heating source. 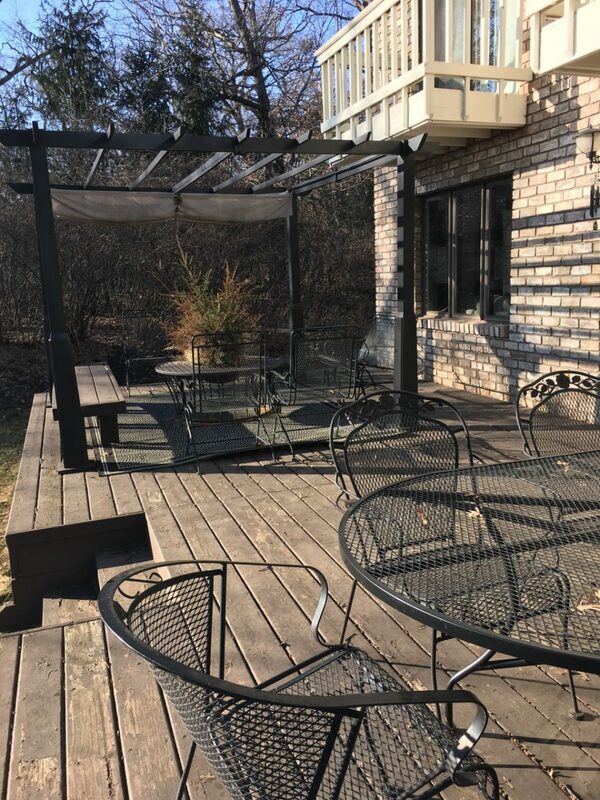 To enjoy your new outdoor space as much as possible, we suggest adding a heating source to help you get a few more months of enjoyable time in both the spring and fall. In addition to an outdoor fireplace, other heating sources include overhead heaters made specifically for a patio or deck areas. Are you ready to build your dream outdoor space? Call APEX Construction Management today for your free initial consultation. Home Additions: Go Upwards, Sideways, or Both? You love your neighborhood, your children have good friends here and so do you, but the house you live in is simply getting too small for your family. APEX Construction Management (APEX Design-Build) specializes in making your home fit your growing family needs and your changing lifestyles. When considering your current spaces, both inside and out, you may find you don’t have enough room to expand sideways. Many homes in established neighborhoods are placed on small lots and are spaced too closely together to expand sideways. In these situations, going upwards may be your only option. If your lot is large enough to accommodate a larger footprint of the house, then we can expand sideways to gain the additional interior space that you need. One of the most popular expansions desired today is a kitchen addition. If you cannot increase the size of the kitchen inside of the existing house, then an addition is the way to expand your kitchen. A combination of both sideways and upwards expansions is also very popular way to build an addition. Since the foundation and first floor are already being built out sideways, going upwards becomes a very economical way to create more space on the second floor. One of the most popular requests we get is to build a new master suite on the second floor to give you a refuge from the kids and a place to relax after a busy day at work. Spa style master baths can be a refreshing destination unto themselves. One of the biggest challenges with home expansions is integrating the new addition with the existing house both structurally and aesthetically. Maintaining consistency with the exterior appearance and the interior fit and finish is a concern that we address at the beginning of the project. We pay particular attention to the details of your current space and endeavor to match the look and feel between old and new, inside and out. If your home is on a smaller city lot, you will want to be mindful to not overwhelm the lot with your new structure. This is the time when using the space above your home becomes very attractive. As a design-build firm, we’re also mindful to integrate the new spaces so the addition fits together well on your property. The reason you want an addition is to gain more functional space in your home. As we begin your design, our professionals are keeping a close eye out for any existing space we can utilize in a more functional manner. Adding space doesn’t always mean adding more square footage. Sometimes it just means using the space you have more efficiently. For more information on adding space to your home, contact APEX Construction Management for your free initial consultation. St. Paul, MN, January, 2015—The National Association of the Remodeling Industry (NARI) named APEX Construction Management its 2014 North Central Region Contractor of the Year (CotY) in the Small Bathroom Remodeling category during its Annual Awards competition. APEX Construction Management LLC (aka APEX Design Build) is a full service design-build firm that specializes in residential remodeling and provides professional design and project management services for projects of all sizes. 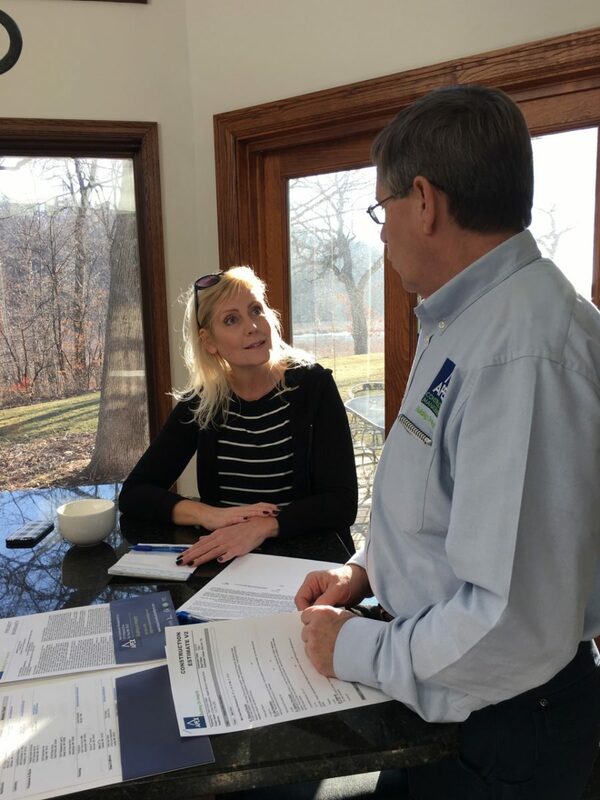 APEX follows Construction Specifications Institute (CSI) project management process, is a Certified Remodeler, Certified Aging-in-Place Specialist, Certified Kitchen & Bath Designs, EPA Certified for Lead Remediation and is engaged in the Minnesota Green Path Energy Efficiency Program. NARI members represent an elite group of the approximately 800,000 companies and individuals in the U.S. identifying themselves as remodelers. An impartial panel of judges and experts within the remodeling industry and associated fields selected the winning projects/remodeler focusing on problem solving, functionality, aesthetics, craftsmanship, innovation and degree of difficulty. Each entry included “before and after” photography and project descriptions. Increasing the bathroom size, improving functionality, incorporate aging-in-place design to allow the space to grow with the home owners, and add beauty. In the works of the homeowner, “this project turned out just awesome”. About NARI: The National Association of the Remodeling Industry (NARI) is the only trade association dedicated solely to the remodeling industry. The Association, which represents member companies nationwide—comprised of 63,000 remodeling contractors— is “The Voice of the Remodeling Industry.”™ To learn more about membership, visit www.NARI.org or contact national headquarters, based in Des Plaines, Ill., at (847) 298-9200. NARI is a professional association whose members voluntarily subscribe to a strict code of ethics. According to results from the 2012 Member Profile Study, NARI members outpace the industry norm in sales, production and employees, when compared to professionals represented in the Home Improvement Research Institute’s (HIRI) 2011 Remodeling Professional Study. Being without your main or master bath for any period of time is an unwelcome thought for most home owners. Add to the inconvenience costs, mess, and frustration and you have a perfect recipe for a lousy few months in your home. However, it doesn’t need to be that way! 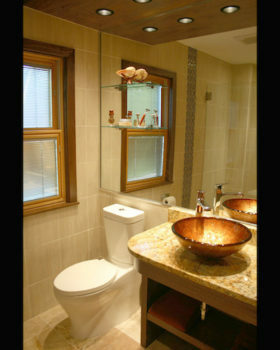 What are the keys then to a successful and enjoyable bathroom remodel? APEX Construction Management has a proven track record in successful remodels and they all start with excellent communication. “The number one reason remodeling projects go bad is poor communication coupled with poor organization from a contractor,” states John Biancini, President of APEX Construction Management. 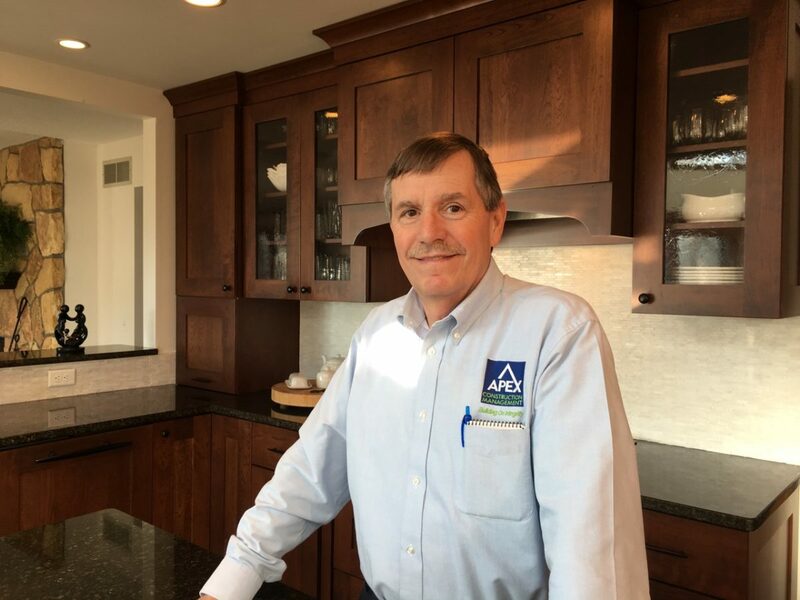 APEX Construction Management, a leader in the St. Paul and Minneapolis remodeling market, has developed a tried and proven system to manage remodeling projects with success. Much of a project’s success is secured well before the first hammer swings. The APEX Road Map highlights four key pre-construction elements that are critical for success. Feasibility – Does the client’s dream bathroom work within the existing home’s framework, budget, and return-on-investment? Design – Working without a design is like driving across the country without a map. It can be done, but it’s not easy. A good design keeps everyone on the same page and following the same map to completion thus mitigating confusion and communication errors. Accurate Estimates – We’ve all heard the horror stories of costs gone wild in a remodeling project. No one has a good experience if this happens. Determining feasibility and having a design both lead to creating a solid budget a homeowner can count on to complete the remodel. Managing the Details – When contractors and homeowners work together to make deadlines important, managing the details fall into place and remodeling projects complete on-time and on-budget. To learn more about APEX Construction Management and their road map to successful bathroom remodels, call for your in-home consultation. 651-653-5300. When considering a remodeling project, home owners carry two perspectives to the table in deciding what projects make the most sense for their families: improved function/style and value. The cost – value ratio of a project addresses resale more than anything else. 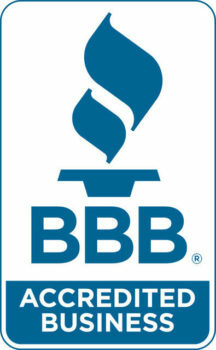 Remodeling Magazine’s 2014 Project Trend – Cost vs Value report is good news for anyone considering updates to their home. The report indicates 2014 showing the largest gain in return on investment in cost vs value since 2005 at 5.5% and at 9% over 2013 thus making remodeling, once again, a good investment for homeowners. Among the top gainers you will find basement remodels and attic bedroom conversions. The biggest reason for the gain is the homeowner’s ability to add space without adding an addition. Mid-level kitchen and bath remodels are also trending upwards in 2014. Click here to read Remodeling’s full story http://www.remodeling.hw.net/cost-vs-value/2014/trends. APEX Construction Management is an award winning design/build firm specializing in residential remodeling. Our experience shows us every successful project starts with good design and finishes on-time and on-budget because of a fastidious commitment to quality, craftsmanship and project management. We deliver “Great Client Experiences… One Project at a Time”. Call us today to learn more or schedule your free, in-home consultation. This client desired to increase the amount of useable area on the main level and create an open floor plan. The catalyst for this project was to expand the cramped kitchen and create more working and serving areas that would allow them to entertain guests more frequently. Their lifestyle needs drove the design objectives to create a new kitchen, dining space, reading/media space, and a fireplace space themed after the north woods Boundary Waters Canoe Area that they both love so much. An additional design objective was to replace all windows and doors for improved energy conservation. APEX was initially chosen by referral and survived the interview process to become the General Contractor for the project. The relationship was further reinforced when it became evident that APEX not only understood their needs, but more importantly, understood their north woods lifestyle. APEX exceeded the client expectations by designing and building their new two story addition that fit their lifestyles precisely. Of particular interest in this project, the initial budget for the new addition came in at over $225,000. APEX felt that this was an ‘over-investment’ for that property and engaged a real estate advisor who confirmed the potential over-investment and provide some guidance for the future resale value of the property. The advisor also made design recommendations that would increase their return on investment, which the client accepted. As a result, the floor plans for both levels were revised in accordance with the advisor’s recommendations, and the project budget was reduced by over $50,000. APEX also delivered on its stated goals of Advanced Construction Solutions and Old World Craftsmanship with fastidious attention to detail at every step the project. The new spaces created by the addition far exceeded the functional and aesthetic expectations of the client. The client was extremely pleased with APEX and described the finished project as fitting them just perfectly in every way and are doing more entertaining with guests as a result. This is another project that was highly successful because of active client participation from the initial design throughout the ongoing decision-making during the course of the project. As a result, APEX was able to improve their quality of life. Our client had raised three children in their split level home of 30 years. The kids have now grown into adults and have moved out of the house so their lifestyle needs had changed. They were not happy with the typical main floor plan of that era which consisted of multiple small rooms connected together by long, dark hallways. They wanted a more open floor plan that would better allow them to entertain frequent guests and visits by family members. Their lifestyle changes drove the design objectives to create an integrated kitchen/dining space with a separate reading/media space that was also separated from the living room. An additional design objective was to replace several windows and doors for improved energy conservation. We were engaged and charged with changing their spaces for their changing lifestyles. 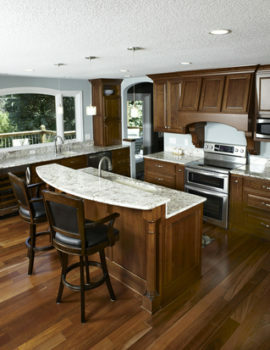 • Kitchen Upgrade: The kitchen was completely deconstructed and redesigned with a new floor plan. It was originally separated from the dining room by a wall, which was removed to create a much larger open space. A new floor plan, lighting, cabinets, countertops, appliances and flooring plus the creative combinations of materials, colors, and textures came together to create a beautiful new kitchen. • Open Floor Plan: The under-utilized dining room was seamlessly integrated into the kitchen space by removing walls and creating a large open and inviting space with much more functionality that satisfies the needs of this client’s new lifestyle. Strong lighting design provided more than enough light for a full range of evening or nighttime activities. • Increased Interior Privacy: The half bath and master suite were plainly visible in the old plan. The new plan effectively increased the privacy of those spaces with a minimum amount of cleverly placed walls that included an art alcove. • Increased exterior privacy: The view from the road below into the house was effectively obstructed by the design and placement of the windows and kitchen cabinetry without compromising the amount of natural light entering the space. • Improved View: The view down to the lake was dramatically improved by the placement of several high performance windows and a patio door along entire wall facing the lake. The lake is now visible from throughout the new space. • Natural Light: Achieving this design objective exceeded everyone’s expectations! Numerous large high performance windows and a patio door allowed natural light to flood the combined spaces during the day. The Challenge… the key challenge for this project was managing and balancing the conflicting design objectives of openness and privacy. In the client’s own words, we achieved this and exceeded all of the design objectives by 150% of their expectations. In the client’s own words, they are 150% satisfied with how we met their design objectives. They felt that we provided a lot of great ideas and options along the way and remained flexible in accommodating the typical changes and unexpected challenges during their project. They liked how we developed a theme around their idea for arches and carried that theme throughout the project, including the arched windows in the new spaces. They were also happy that we opened up the front entryway and installed larger windows that flooded the living room with natural light. They also appreciated the superior craftsmanship and fastidious attention to detail that is evident throughout the project. One of the reasons this project was so successful was the active involvement and participation of the client. This is a discriminating client who understood what quality and craftsmanship meant and who knew exactly what they wanted. With that guidance, we were able to exceed their needs and improve their quality of life at home. The client was so pleased with the functionality of their new open spaces that they invited our entire company over for dinner to celebrate their project completion! The challenge of undertaking a major construction project in their home can be intimidating for most people. The reasons for this are many. The construction process is not clearly understood and the fear of the unknown sets in, causing anxiety about the project. Budget constraints can add another layer of stress to the process. The many horror stories about troubled and failed projects are, unfortunately, rampant in the remodeling industry. The overwhelming number of decisions and selections that need to be made in a condensed time frame is often more pressure than most people ever experience in such a short period of time. The resistance to change can be paralyzing to the point of indecision, stifling creativity and adding even more stress to the process. The list goes on. A remodeling project in your home does not have to be a black hole of fear. When you can see how the whole construction management process works and how seamlessly all of the moving parts come together, it can actually be a lot of fun, especially when you are driving the process! What can be more exciting than seeing your vision, one that you’ve dreamed about for years, become a reality? And, the best part is how rewarding it feels when you start enjoying the new spaces you’ve created. Let’s get started on helping you get started on that new project. Project Completion – Job well done, time to celebrate! Our Project Milestones offer a detailed description of what takes place at each one of these steps and helps to simplify the journey for you. The ideal outcome of working together is a successful project that comes in on time and under budget. We have everything in place to help guide you through the entire construction process. It has taken us many years and hundreds of projects to perfect this process and offer you a journey with a minimum amount of risk and a maximum level of fun as you watch your vision become a reality. With our Project Roadmap and Project Milestones we can help you avoid the twists and turns and nasty surprises that fuel horror stories, giving you a great experience and a smooth journey throughout your project. The APEX team treated our project as if it were their number one priority; they listened, offered suggestions, provided timely solutions, and were always generous with their time. The personal attention they extend is second-to-none in this industry. ‘Building on Integrity’ isn’t just a slogan, it is a commitment that APEX takes very seriously. They made our dream kitchen and living space!